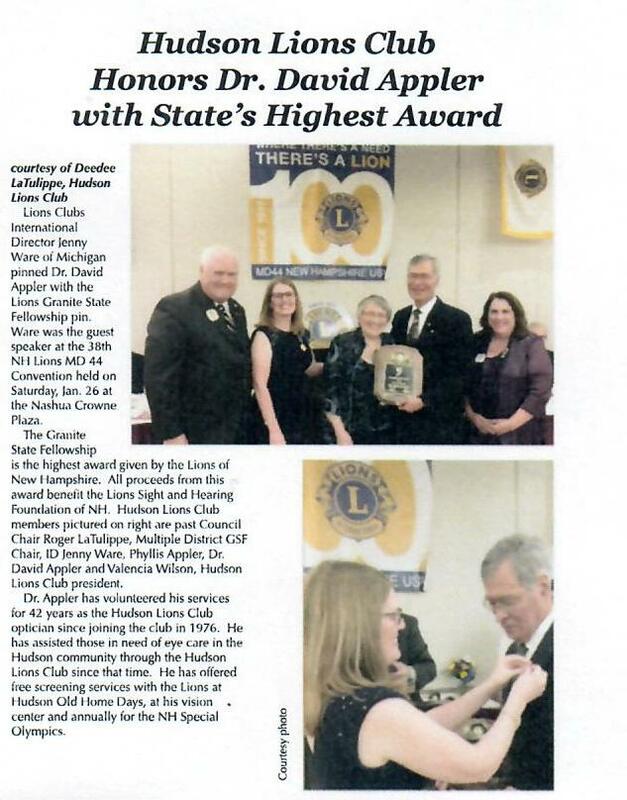 In 2017 Lions Clubs International will celebrate 100 years of service and the Hudson Lions will be part of this special moment in history by celebrating 70 years of service to the Hudson Community, the District and Lions International. 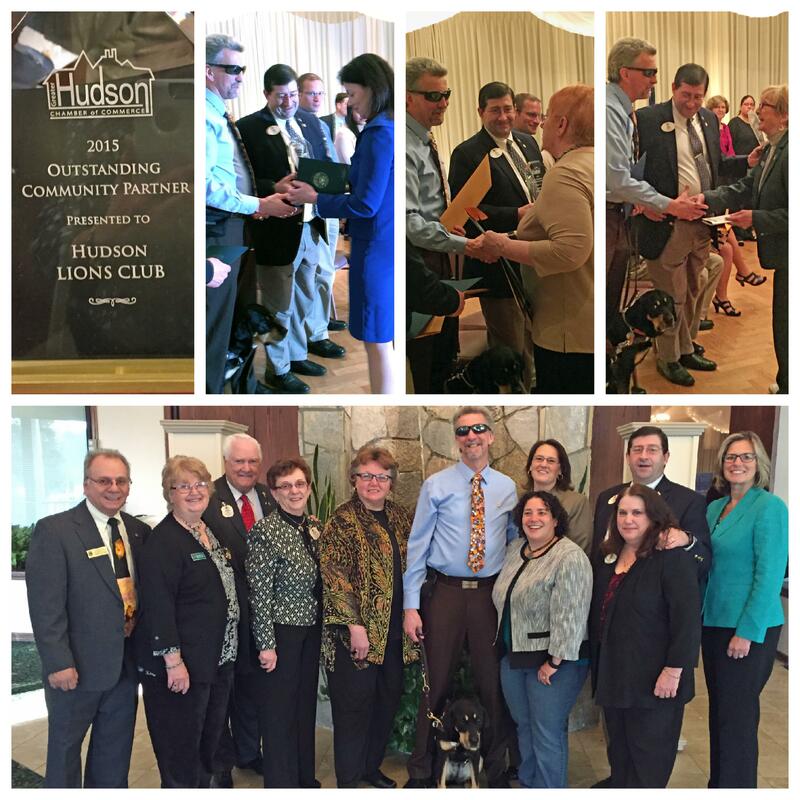 Some of the ways that the Hudson Lions Club assists the Hudson Community are free vision and hearing screening in the schools and at events, collecting and recycling of eyeglasses and hearing aids for the needy, road clean up, blood drives for the American Red Cross, the Military Coupon Redemption Program, contributing $6,000 annually to the food pantry, $6,000 in Scholarships for Hudson students, $2,000 annually to the Ann-Marie House, $5,000 to the Rodgers Memorial Library outdoor reading area, tree planting at the Hill House, Lions Little League Field, assistance for fire victims, supporting sports programs and Boy Scout Troop 20 and Holiday Bell Ringing for the Salvation Army. An upcoming community event is Santa’s Arrival on November 25 at which the Hudson Lions Club provides community activities for children at the Hudson Community Center with free vision screening for children from 3:30 to 6:00PM. The Hudson fire department is currently having the central station renovated. Due to several issues, the cost of the renovation went up not leaving enough funds to purchase cooking appliances. 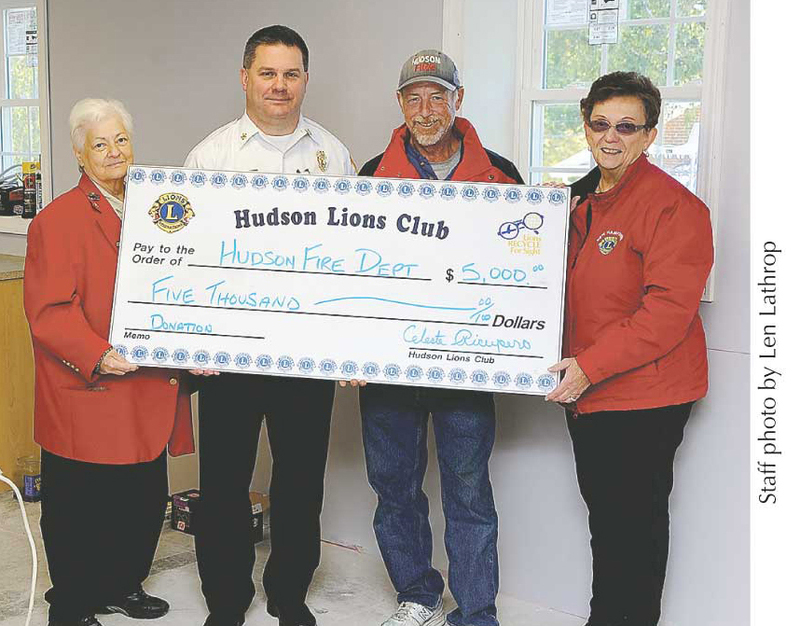 The Hudson Lions Club has donated $5000 toward the purchase of some of the necessary equipment. The Hudson Central Station was built in 1952 and was an all call firefighter department. Many changes have since taken place. In 1975 the town hired their 1st Fulltime Firefighters who worked from 6am until midnight. Over the next 3 years, more Fulltime help were hired and coverage became 24 hours a day. The upstairs originally had a pool hall, a meeting room and a kitchen. There were also 2 offices in the front. The pool hall was change to bedrooms, the meeting hall was considerably shrunk and offices were added. The kitchen remained the same but will have some new necessary appliances with the donation from the Hudson Lions Club.